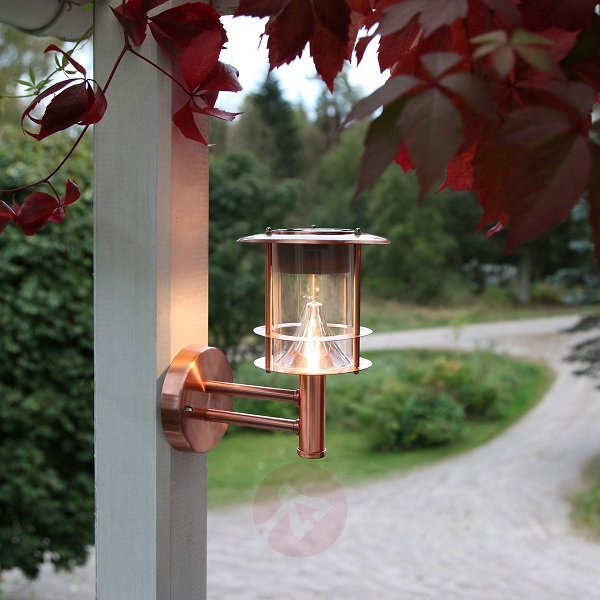 When it comes to garden lighting, many people think of security lights, designed to deter intruders, or perhaps of temporary installations for outdoor weddings or other parties. However, careful use of lighting can transform a garden and help make it a truly multi-functional after-dark space. Here are eight points to consider. The popularity of outdoor wall lights means there is a fabulous selection of styles and designs on the market at a range of price points. Choose a supplier with an extensive choice, such as lights.co.uk, for a good overview of what is available and what appeals to you. You may want to opt for a style that suits your home. Traditional designs made from dark metal and glass may work well with older properties. At the other end of the spectrum, contemporary designs lean towards the minimalist and tend to be sleek and unfussy. Merging the two, mid-century modernist designs will work well in just about any space. Whatever design you choose, modern technology can ensure that your lights are easy to use and efficient in their energy use. Garden lighting should not be an afterthought. If you're at the start of a garden redesign, think about lighting options now. Remember that most cabling can go beneath the hard landscaping. Judicious planting may be able to disguise cabling that is added at a later stage. Ensure a qualified electrician installs any cabled lighting. This is important both from a safety perspective and to ensure the cables are protected from rabbits and other tunnelling or gnawing animals. Using tubing reinforced with mesh adds an additional layer of protection. Natural light originates from above. As a general rule, it is best to mimic this when illuminating outside spaces. Low wattage bulbs are most effective and can result in an eye-catching and memorable display. In any event, from a safety perspective it is essential to comply with the manufacturer's maximum wattage specification for any particular light fitting. LED lights can be an excellent choice. Many people are tempted to illuminate a single tree or bush by use of a spotlight. Despite their best intentions, this can lead to a security light effect that is anything but relaxing. You can avoid this by ensuring that your light is angled downwards. This will result in subtle pools of dappled light capable of illuminating a path or patio. Similarly, don't be tempted to light up an entire flight of steps. Illuminating alternate risers is usually far more aesthetically pleasing. Light pollution is a common cause of discord between neighbours. It has the potential to be a statutory nuisance and, as such, fall under the remit of local government. You can avoid this becoming a problem for you by thinking about how your proposed lighting might affect any neighbours and installing your choices with care and consideration. Inappropriate garden lighting can adversely affect wildlife. For example, moths can be disorientated by artificial lights and birds' sleep cycles can be disrupted, causing them to start singing well before dawn. Ensuring you retain dark areas within the garden, choosing low intensity lighting and turning the lights off when not in use are some of the ways you can minimise the impact on your garden wildlife. If yours is a big space or if you are feeling unsure about how to illuminate your garden to best effect, you might want to engage the services of a professional garden lighting designer. As well as taking into account all the points raised above, they will work with you to ensure that your outside space is illuminated beautifully. Colour, lighting location, direction of lighting, installation, safety and cost of illumination all fall within their remit. With summer almost upon us, now is the perfect time to ensure your garden is in the best shape for you to enjoy it throughout the warmer months. Good lighting is an integral part of this. With a little thought and preparation, you can make your garden as visually appealing after dark as it is during daylight hours.